I love how a year is divided into these eating seasons. 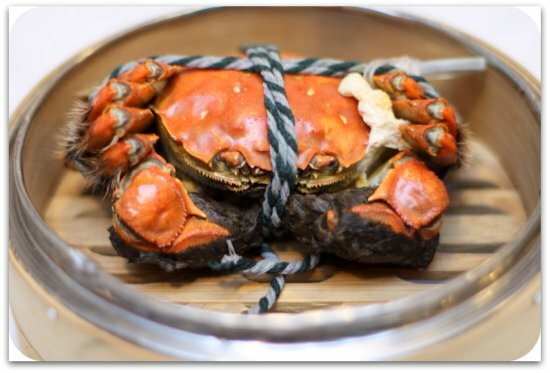 There is Chinese New Year, mooncake festival and this particular year end favourite, hairy crabs. 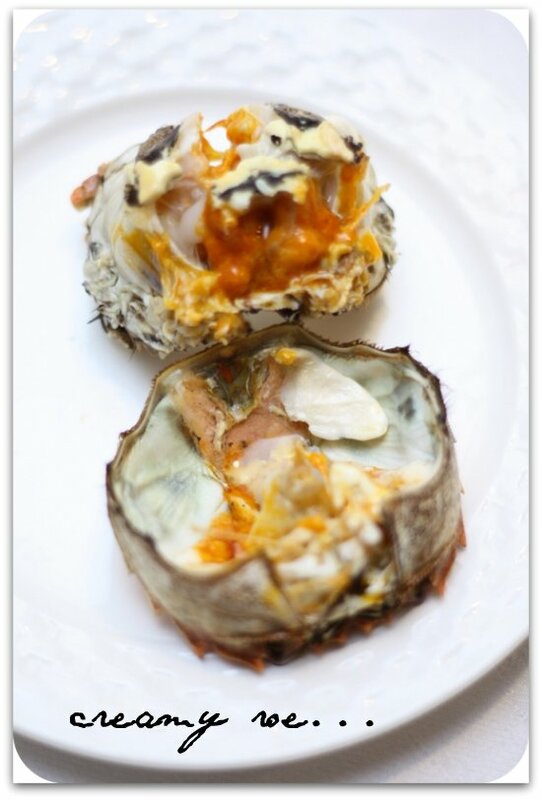 Filled with creamy roe, these crustaceans also known as mitten crabs are best savoured steamed with perilla leaves. Enjoy these beauties with some ginger tea to get rid of any "wind". Chef Choi also does this amazingly good braised hairy crab e fu noodles that we tried for the first time. The noodles is infused with the crabmeat and roe. 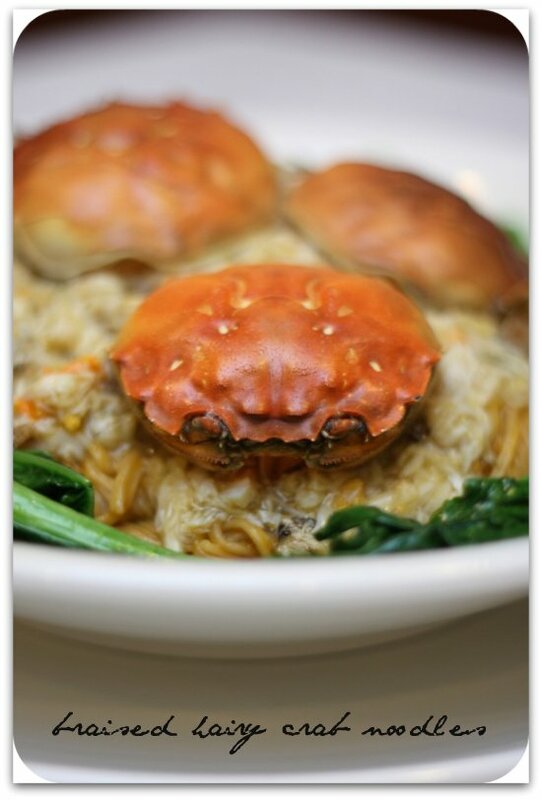 Incredibly fragrant from the crabs, the noodles is best savoured in small portions. Simply heavenly that a few of us felt us wavering in terms of what qualifies as our favourite noodles in the restaurant. Get here as soon as possible to enjoy this seasonal treat available until mid-December or until supplies are available. The restaurant had also purchased a batch of Iberico pig hence the hairy crab dinner also had a large portion of oink. The first dish to grace us was the suckling pig. 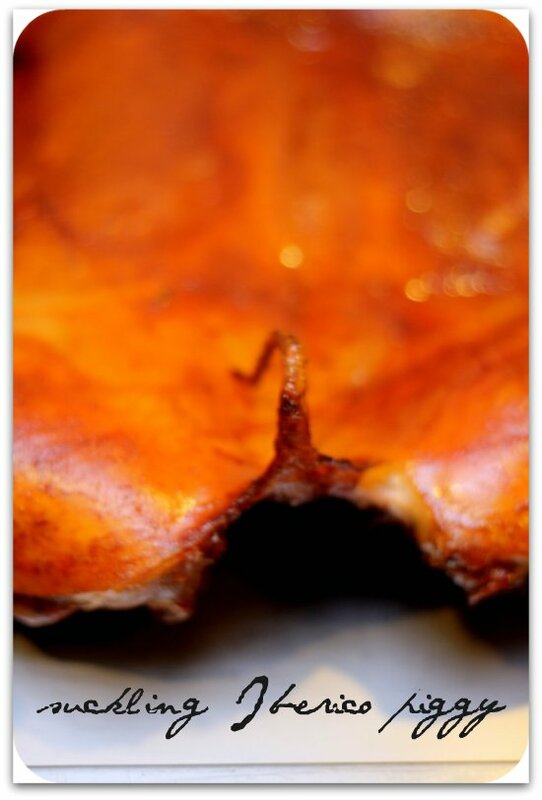 Unlike the usual dishes, this one was far superior with crackling good skin and soft juicy succulent meat. Incredibly finger licking that quite a few of us abandoned our manners and utensils. Equally finger licking good were the BBQ Iberico baby back ribs. This was liberally livened up with quite a lot of salt but it worked well giving the ribs a deep smoky like flavour. 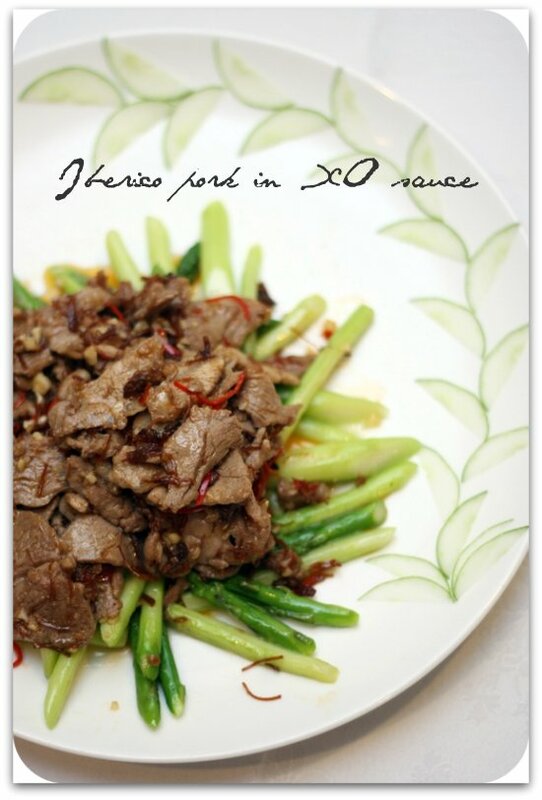 Another dish that was very well received was the Iberico pork loin sliced and fried with asparagus and XO sauce. 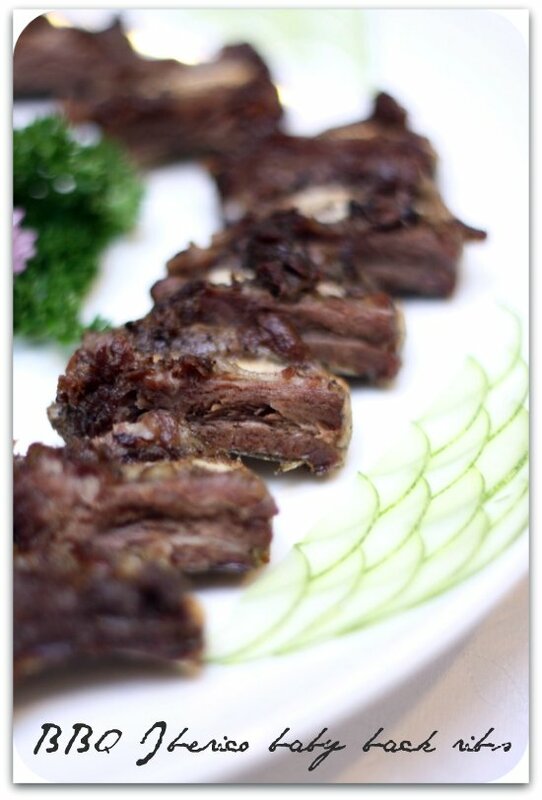 The dish is light with the tender pork slices. 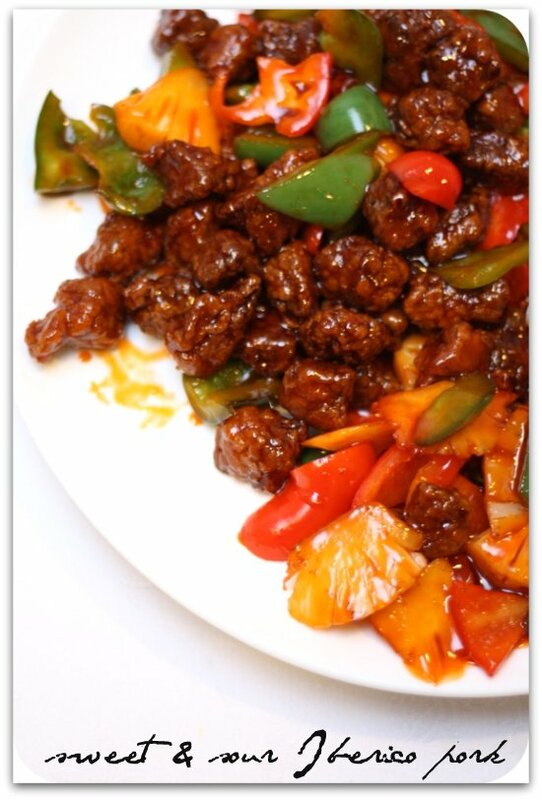 Chef Choi's sweet and sour pork is a big favourite among many of us from that dinner. With using the Iberico pork, this humble dish seemed to be elevated to a more lofty status since the deep fried battered pork melts in the mouth with the fats. The simplest dish seemed to have won all of our hearts. 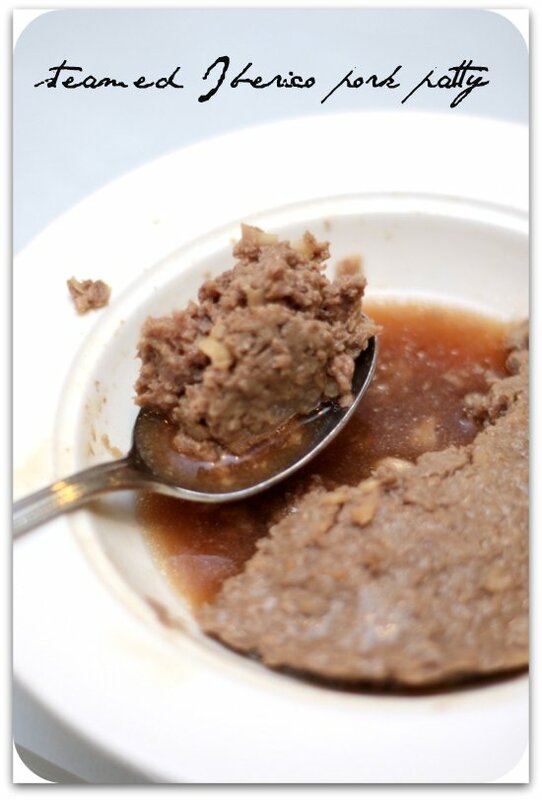 A very home-like dish that I remembered my mother making is this pork patty one studded with water chesnuts for a bit of crunch. The texture of this patty reminds us of melt in the mouth Wagyu beef with the marbling fats. Simply addictive especially with a bowl of rice. Needless to say, we ate the two bowls dry with some rice to soak up the great gravy. 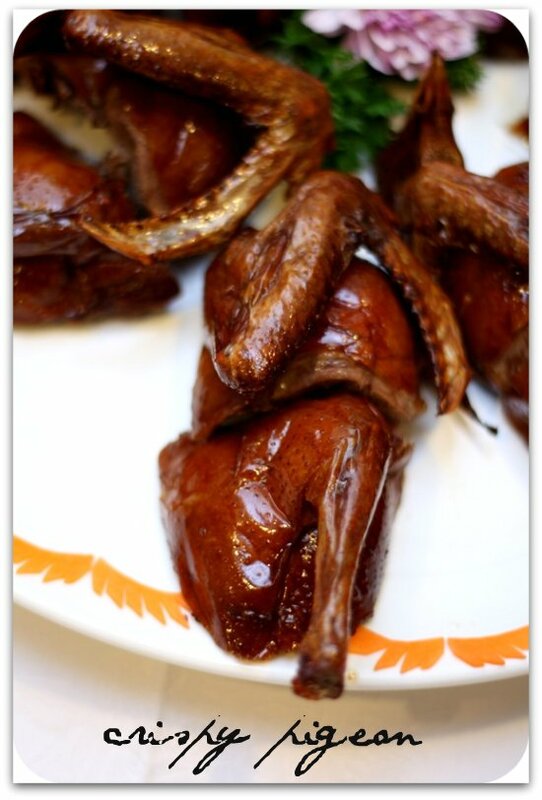 Appearing in between the pig and the crab was the pigeon, a juicy succulent creature with a crisp skin. Eat it with plum sauce and the spice salt on the side for a satisfying meal. We end with red bean paste (no water added and entirely pure) with 18 years old aged kumquat peel. The taste of this classic tong sui is beautiful - thick with hints of the golden citrus from the aged kumquat. There was also fresh sweet melons, MH bought that were wonderfully refreshing. I'm not sure if I'll be eating hairy crabs again but believe me, I'm glad I sampled this year's crustaceans since the crab roe has a beautiful creamy texture and the braised noodles with crabmeat is to die for. Love the Iberico piggy too but we were pacing ourselves since we knew there was a lot of food. * The meal was paid for by the restaurant. Wow! That food looks amazing! The pork and piegoen - love! I had my first hairy crab the other week in China. It was good, but found a little time consuming to eat. Great pics! wow.. weren't we just there last night. you are so speedy! LOL, "a year is divided into these eating seasons" we do love you for that! wow this looks GOOOODD! where would you say is the best place for crabs and hokkien mee in kl? i wish there's a yearly list of best places to eat in kl! 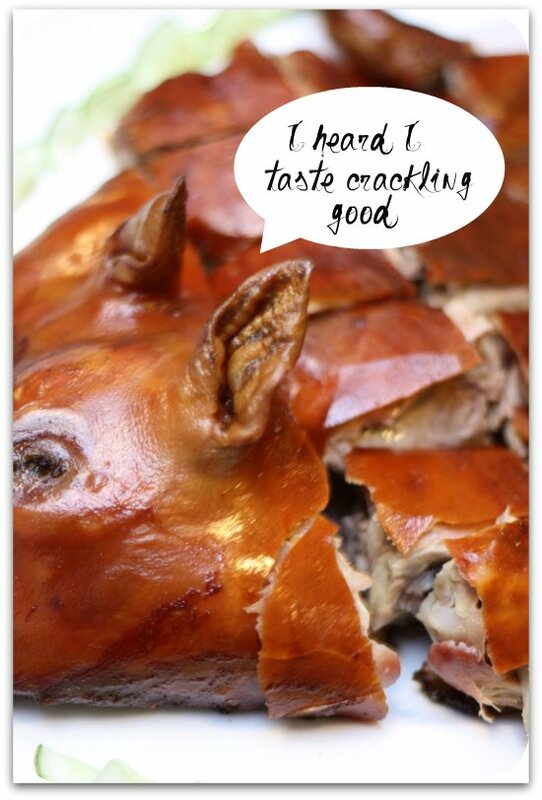 Hehe I love the caption of the photo of the pig / ear. So cute. wholesomecook - yeah, crabs are darn pesky creatures to eat but worth it. Michelle - incredibly good suckling pig! Such tender meat with a crisp crackling. Kaki Makan - the noodles are incredibly good. Definitely the best I've tasted with the roe. Give it a try since it's once a year. Christine - yes, one of those year end dinners to cherish. cumi & ciki - Monday night coffee vibes strikes again! babe_kl - yes, they are always very inventive. Au&Target - yup! Life should be like that. Terri - no best place for hokkien mee honestly as the good ones are gone. Decent place is Ah Wa at Jalan 222. Crabs, it is best to eat at Klang as it is cheaper. Baby Sumo - and he heard correctly as we all enjoyed his crackingly good skin. The Yum List - Yeah, I was debating on the full piggy picture and decided people won't appreciate it. Maybe if they give you pieces of it, you will eat it?